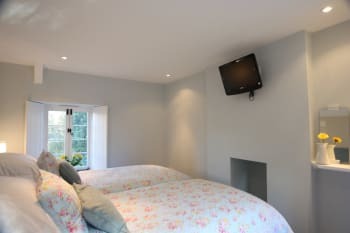 Award winning ,warmly welcoming , picture postcard pretty 18th century stone cottage totally refurbished to provide a well equipped delicious modern holiday home. 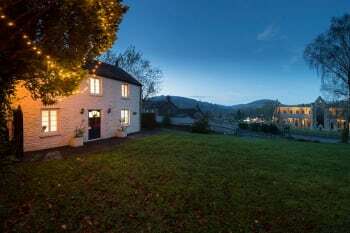 Directly across from Tintern Abbey of which it has the most fantastic panoramic views the warm and welcoming cottage is in the heart of ancient Tintern village and walking distance of pubs , eateries and several wedding venues . The Wye Valley Walk is from the doorstep and you can see Offas Dyke from the windows. Its great for romantic couples, wedding guests, small business meetings - and family holidays! Sleeps up to 6 people in 3 bedrooms each of which can be configured as a 6ft superking or a pair of twin beds .Two sparkling bathrooms, Full heating included. We have superfast broadband and internet TV service. 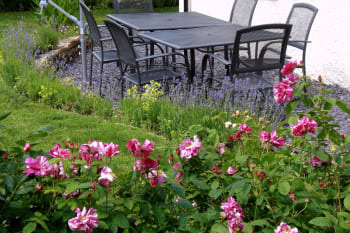 Pets welcome ( fenced garden ).Private parking , 5 star award, Green award Walkers and Cyclists Welcome Award,Trip Advisor Excellent award thanks to the kind reviews of our guests! There are no rooms available at Tintern Abbey Cottage for these dates. Always a 5 star welcome in a 5 star cottage in the beautiful Wye valley right opposite Tintern Abbey. Really cosy welcoming cottage with every amenity one would need for a hiking holiday in this beautiful part of the country... even welcoming for dogs. The cottage is spotless and warm and it just has everything for a perfect stay. The Royal George restaurant is excellent a welcoming. The Fountain inn at Trellech is lovely for Lynch or evening meal with home made and locally sourced products. Also a warm welcome but call to check on opening hours. The Anchor is also friendly with a good choice of menu and plenty of room. Climb Devils Pulpit, Llandogo to Cleddon Falls, Redbrook to The Ostrich walk also known as Catherdral in the Forest walk. And walk from Tintern up Angiddy Stream to The Fountain Inn is beautiful. The walk up to Penterry Farm is also very pretty past the lime kilns. The cottage was fantastic, very clean, well decorated, with good facilities. It was in a great location, with easy access to the motorway. The fact that dogs were welcome was an added bonus and the garden was secure, so they could have a wander around without disappearing! The little touches were great, dog treats, a bottle of wine and milk in the fridge, not to mention the great fruit cake! For me the most important thing was it was comfortable, and the beds provided a very good nights sleep. Why would you not see Tintern Abbey when it is on your doorstep. Take a walk along the river, it’s beautiful. We are so delighted you enjoyed your stay. So sorry we didnt meet you as we were away ourselves for a special celebration though we left everything ready. Maybe we will meet you next time! Thanks for taking the time to write this! Cottage was even better than we thought (and we were expecting a great stay). Ideal spot to explore the area. Lovely touches on arrival, e.g. roaring fire, Christmas decorations, laid dining table, etc. Number of pubs in walking distance most with restaurants so won't be short of choice if cooking for yourself becomes a drag. We had a very relaxing four days,the cottage is certainly 5 star ! The views of the abbey are wonderful especially when it is lit up at night. We found the location excellent ,being able to visit Monmouth,Chepstow as well as local eateries. We hope to visit again soon! Beautiful cottage, definitely lives up to its 5 star rating. Welcome on arrival to show us around and explain facilities was very helpful. Location was perfect, we liked the fact that it was quiet but had some facilities in walking distance. We really appreciated the milk, burning fire and little treats on arrival. Thank you both for a lovely break. Plenty of places to walk from the cottage. Enjoyed a walk up to devils pulpit and along the river. Short drive to Simonnds Yat and Monmouth which is worth a visit. Enjoyed a couple of meals in the anchor pub and enjoyed the bacon rolls and homemade cakes served in the white monk. How wonderful you appreciated everything so much. We try hard and its great to see it all thoroughly enjoyed! Come again soon! So delighted that you enjoyed your stay! Please come again before too long! Great communication and instructions beforehand. Very clean. Lovely cottage. Would happily stay again. Clearwell caves - great outing for a rainy day. Perrygrove railway steam train - much more than just a fun steam train! The Anchor Inn is very good and the food is excellent. Symonds Yat is definitely worth a visit and so to is the Usk circular walk. A beautifully appointed cottage in a stunning location. We had a wonderful stay and would highly recommend to anyone. Wonderful character cottage in a superb location and very helpful owners who make you feel especially welcome. There is plenty of local leaflets in the cottage. Plan well or you will run out of time because there so much to do and see in the area. So glad you enjoyed your stay. Yes there is loads to do in the area- far too much for just one week which is why people do return again and again. We are really lucky that they choose to come back to us and we hope you will do the same before too long! So delighted you had such an excellent stay! Do come again soon! We are very glad that you enjoyed your stay though are very sorry to read that you did not enjoy the design style of our sitting room. Your comment on here is in fact the opposite of what you said when you arrived and found the woodburner lit for you and tea things ready so we are a bit disappointed by this. Our style is modern and simple as shown in our images and no one has disliked it before. We are sorry! Cottage presented to a high standard. Great attention to detail and customer focus. Malcolm and Fiona always give us the warmest friendliest if welcomes. They always make sure they give us the latest news on access to the village or activities in the area. Walks and recommendations for pubs. The cottage is fabulous. Nothing is missing and it is just Home from home. This is our seventh year visiting the area. Seeing the village in snow was amazing and we had the perfect time walking in the snow and meeting local people. We love Tintern honey which can be bought on one of the walks up past St Margarets church over to the Angidy River trail, another favourite. Walks in the area are beautiful. The climb up to Devils Pulpit followed by a lovely lunch st The Anchor pub is thoroughly recommended. Redbrook walk called the cathedral in the forest is a favourite too. Angidy trail is magical. Well equipped and a comfortable cottage. The Anchor, within a short walk, is very friendly with good ( pub ) food, and not expensive - nice atmosphere for just a drink. Very good walking ,with or without a dog, BUT, in the near future be prepared for water and mud after so much snow, and rain. A wonderful weekend with friends and family including baby and dog, cottage excellent. Although we arrived slightly later than anticipated we were still greeted by Fiona who kindly told us everything we needed to know to make our stay comfortable. Loved the laid dining table and daffodils in every room, lovely touches. Thank you. We just enjoyed going for some good walks from the cottage and not using the car. Beautiful spot and so tranquil at night with the abbey lit up. We had a very relaxing break and despite the cold weather the cottage is so warm. The Roman remains are a must see, as is the museum etc at Caerleon. Fountain Inn pub doesn't look much from the outside but Sunday lunch was fantastic very friendly and the food was fantastic. Local pub the rose and crown was good too for drinks. We also went to the Best Western it was like stepping back in time but the staff were so friendly. Tintern Abbey walk around is a must. And Monmouth and Chepstow worth a visit too. We are so glad you enjoyed your stay so much. As a family business we do try hard to please and its terrific when that effort is appreciated. Thanks- and come again before too long! A lovely cottage in a fantastic location with everything you could wish for in the cottage. Would highly recommend it. We will come back. The White Monk does a delicious breakfast and great cakes. Helpful and informative. Lovely cottages that I would definitely recommend to family and friends. Delighted you returned to us and so enjoyed your stay. Come again soon! 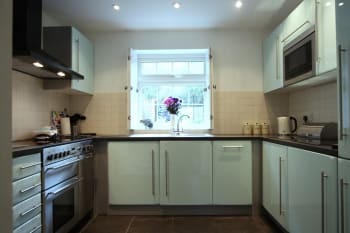 Fantastic location, and very close to being a fantastic house but the kitchen and a few other details let the house down. - Chopping boards should be wood or plastic - Knives need to be sharpened - The hob needs to work on all locations and gas is better - the bread bin is a terrible design - not enough cupboard space - incorrect placement of the oven so right door does. It open. - cooking oil, bin bags, dishwasher tablets, washing tablets and a pepper grinder, should be provided rather than champagne. Thank you for taking the time to write a review and we are glad you enjoyed most aspects of your stay very much however we are concerned that some members of your party did not locate some of the kitchen facilities provided - though others clearly did as we cleaned the used items. We wish you had contacted us during your stay as these things were so easy to show you. - the chopping boards are plastic but perhaps you did not recognize them as they are unconventional black ones -There is a knife sharpener in the kitchen knife drawer -The large glass hob has five locations. All were working perfectly before your arrival and when we cleaned after you it was clear all five had been used. Sorry we dont know the problem. 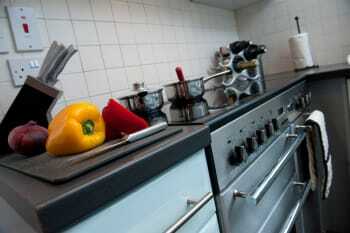 We prefer gas too but its not available in a rural area -Sorry you dont like the style of the bread bin. Its a from a leading manufacturer! - We cant make the kitchen bigger but there is a unit in the dining room and an understairs and an outdoor cupboard which would have been suitable for your many new year party bottles and cans - we did indeed provide bin bags, 100 dishwasher tablets, washing up liquid and salt and pepper shakers (and we did send you ahead of arrival a list of what we would be providing.) The champagne was our New Year gift to you . We thought you would simply love it. We have stayed at your other cottage and this time had friends with us so came to Tintern. It was brilliant thank you . We have already rebooked for Vanilla in October when there are just the two of us. We enjoyed walking up the the Devils Pulpit and we had a great lunch at the Anchor pub. Cottage was fab really cosy, constant hot water and heating and so warm we couldn't make use of the lovely log burner, maybe next time! Very well equipped kitchen lots of crockery glasses etc. Big and very comfortable beds. Excellent wifi throughout the cottage. Fiona and Malcolm very pleasant and efficient hosts who responded quickly from beginning of booking process through to our questions before we came to stay and a couple of minor issues while we were in the cottage. We will hopefully visit again soon and would recommend to others as well. Dog friendly as well so Alfie our border terrier enjoyed his holiday too. The Fountain Inn very good food, lovely staff and dog friendly. A couple of miles from the cottage and a bit remote but well worth a visit. Went for Sunday lunch before getting into the cottage on arrival, so good we went again the next Sunday. Can recommend Sunday roast, lovely fresh well cooked veg, the steaks and fab puddings. The Anchor over the road also good food and dogs allowed in bar where food served. For food etc to eat in we loved The Brockweir community shop, bread, eggs, cheese, veg and much more; Hanley farm shop & cafe and Roser butchers both near Chepstow. Clearwell caves well worth a visit (go on a wet day!) and Taurus Crafts near Lydney watch glass blowing, stone carving and others, various shops and a great cafe. Also on site a garden centre and great krazy golf with extras thrown in, unlimited use on the day, free table tennis and air hockey and more, great value. Absolutely delighted that you enjoyed your stay so much. We try hard as you saw and its wonderful to be appreciated. Come back soon! Open the curtains and take photos of the Abbey runs peaking through the mist. Walk for 2 min to the friendly Anchor inn or the tea rooms. Walk up the past the old furnaces to the Fountain Inn for a sustaining Sunday Lunch. Beautiful house in a beautiful location. Lovely welcome from the owner and great communication. 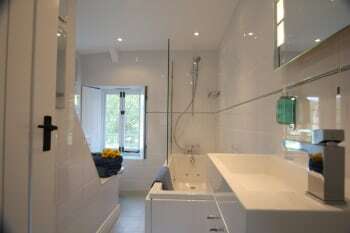 Very well equipped cottage, infants are especially well catered for. There are lots of walks (though we couldn't really take advantage as we have young children). Good places to eat within walking distance and lots of family things to do nearby. Although Tintern Abbey is a tourist location it was always very peaceful. 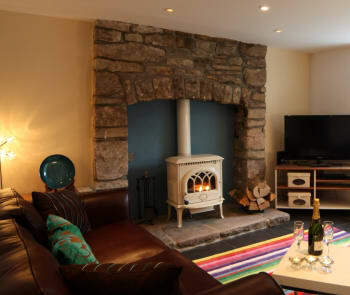 The whole process of booking was very friendly and trouble free and the cottage was a delight to walk into. Plenty of historic buildings to visit in the area - great to old folks as well as young children, all within an easy drive. Everything was fine. We enjoyed it very much. We would stay there every time again. As travelling subscription we would add: ... on the left side direct before Tintern Abbey. (so it will be easier to find). The only negative comment I can make is that the sloping floors (from the kitchen and downstairs bedroom)are in my view potentially dangerous. Delighted you enjoyed your stay and the extensive walking you managed to do in fab weather! We note your slight anxiety about the two small slopes indoors (which have replaced two nasty steps) and we note that you had no personal difficulty with them so you are just being careful of others. They do meet all the necessary health and safety requirements of building regs and in nearly 9 years we have not had anyone find them problematical, including those with walking frames and sticks.We do advise people to be careful as they are unusual. Hope to see you again before too long! Absolutely delighted you enjoyed your stay and the house so much. ( Its considerate of you to try to leave mud outside. We do have the outside store for golf clubs/bikes but we would not dream of asking you to leave clothes there as they would not be warm for you next time.) We look forward to welcoming you next time! Delighted you loved the cottage and enjoyed the glorious views so much. Do come again before too long! Malcolm And Fiona always provides de the warmest of welcomes. The cottage is pristine, truly 5 star and the location is amazing. It is the perfect getaway. We have been coming back for six years and always find new walks. We've booked for next year too! The cottage has a plethora of walks and maps but our favourite is Angidy Trail to The Fountain and also walks around Redbrook to the Cathedral in the Forest and a stop at The Ostrich. On a fine day the walk up to Devils Pulpit is a must! So delighted that you continue to enjoy the cottage and that you do notice our welcoming touches and appreciate them. We also appreciate that the cottage is left in good condition and we very much look forward to your return next year! Everything was super, could not have been better. The information in the cottage books is all you will need for a wonderful holiday. Just have a great time in such a marvellous area. Fabulous large beds - home from home! Well equipped, clean and comfortable. Loads of walks close by. Plenty of pubs in walking and close driving distance. Great area. So glad that you enjoyed your stay and also that we were able to find and return your lost glasses. Thank you for leaving the cottage in such good condition. Please come again soon! 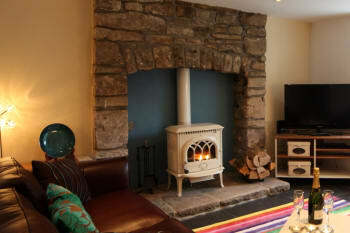 Very well equipped cottage with lots of home comforts and in a beautiful location. Great for walking, relaxing and enjoying the delights of the Wye valley. 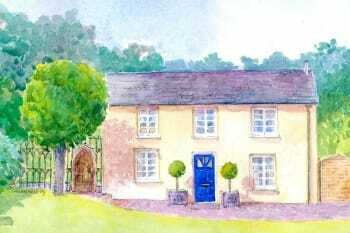 Tintern Abbey cottage is one of the better cottages we have stayed in and we have used many. Its location is second to none, clean, well equiped and in walking distance for restaurants, pubs, cafes and its location offers numerious country walks (no need to drive). We can highly recommend a visit to:- The Anchor pub, Rose and Crown, White Monk Cafe all within a minutes walk of the cottage. Good food, friendly and more so for us dog frendly. The Boat Inn Chepstow also extremely friendly, they will go out of their way to help with any requiremets, also dog friendly. A visit to Raglan Castle is also highly recommended. So delighted you enjoyed your stay with us. As you have seen we do go out of our way for our visitors and its wonderful when its all appreciated. 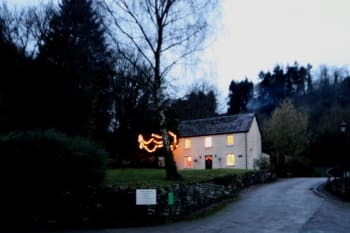 ( There is nowhere to review guests but we would also like to think you for leaving the cottage in such great condition despite having enjoyed a wonderful New Year Break and bringing pets with you. a BIG thank you!) We hope we may have the pleasure of welcoming you back soon! Delighted you enjoyed your Christmas break and the many extras we supply at that time of year. We wish you a very Happy New Year! 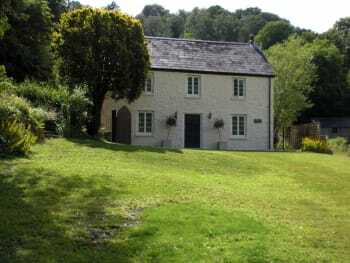 Beautiful well stocked cottage, right opposite the lovely Tintern Abbey. The owners went to lots of trouble to make us feel welcome at the cottage. We thoroughly enjoyed our stay. The cottage is beautiful and the bedrooms upstairs are so lovely, I could have slept forever! As we had a 12 year old with us, we loved canoeing in the River Wye and cycling the Family Trail in the Dean Forest. We loved our visits to Chepstow and Raglan Castles and Clearwell Caves were most interesting. The general store at Brockweir is excellent and for those with children, they love it as it has a wonderful playground for while you shop. Absolutely delighted that you came all the way from Australia to stay with us and enjoyed it so much! We know its a long way but we do hope we can welcome you back before too long! 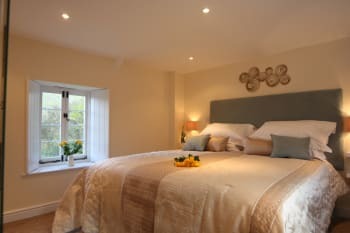 Well furnished very comfortable cottage but no access through front door or opportunity to sit at the front of the cottage..
Good food at The Founttain Inn.Tintern Abbey a must. We are so delighted you enjoyed your stay at the cottage and enjoyed reading your hugely positive comments in the visitors book . We are sorry that there was some confusion about access to the front garden. We were away when you were staying and wish you had contacted our caretaker about your inability to go out front! There are three ways to get to the front garden. You can go out of the front door. It is not usually locked but the key hangs in the kitchen clearly labelled for your use . Alternatively from the back door you can go through unlocked gates at both sides of the house into the front garden where a bench is provided on the upper terrace! So sorry you did not realize this! A good selection of local village pubs that all serve good tasty food and are dog friendly! Thanks so much for this review, we are thrilled you enjoyed your stay and hope to welcome you again before too long! The cottage has an unbeatable location in a famous village at the centre of a wide range of attractions and activities - and we received a warm and helpful welcome from the owner. The Fountain Inn, the owners' favourite local hostelry, lived up to their recommendation, being full of character and offering excellent food. Be warned: the portions are huge. Having the Anchor Inn with good beer and food on the doorstep was most convenient. We were visiting family in the area but found time for hill and river walks, Goodrich Castle and canoeing on the Wye. Our visit coincided with the Raft Race and Sung Vespers in the Abbey, both memorable and contrasting events on the same Sunday. Delighted you enjoyed your stay! Hope you will return before too long! An Excellence that is found very few and far between. The cottage was lovely we really enjoyed our stay. We really enjoyed a meal at the Anchor and canoeing on the Wye. My son was really pleased to find a rare pokemon at the Abbey (Mr Mime). It was so good to be met personally by the owner on arrival and to be shown around. The dining room table was beautifully set and we all enjoyed our meal later on that evening feeling as if we were in a rather nice restaurant! The cottage was easy to live in and we felt very much at home there. This was especially important as the weather was not particularly good that week and therefore we were indoors more than we had expected to be. We had a very good day in Tintern itself visiting the abbey and having a light lunch at the mill before the rain arrived again! 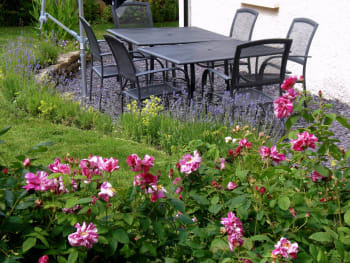 Tintern Abbey Cottage is a lovely cottage with all the facilities you would expect and in a beautiful location. 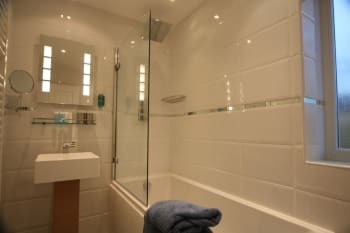 It is filled with character and was extremely clean. It was great to be able to take our 2 dogs as it's difficult to find places that will accommodate us sometimes. Tintern is a lovely little place with pubs, cafes and restaurants. There's no local shop so make sure you've got the essentials as it's a bit of a drive. St Fagans is a must and Dyffryn Gardens were lovely. Wyndecliffe Sculpture Gardens is also worth a visit and just down the road. Recommend the Anchor Pub for food and is also very dog friendly. Chepstow Castle well worth a visit. National Trust Tredegar House very interesting and steeped in history. St Pierre Golf Club Sunday Carvery excellent value for money. Thank you for taking the time to add this review. We were delighted to welcome you back for the second time . (We were surprised by the comment about the TV reception because it was not mentioned to us during your stay. we have had no issues with this before or since and reception on all 5 TVs is excellent. Apologies but its a mystery!) Please give a pat to lovely Rupert! A very warm, friendly welcome to a beautiful house in a stunning location. A bottle of wine and Welsh cakes for the humans and a bowl of water and crunchy biscuit for the dog on arrival was much appreciated and the fact that trouble had been taken to have the log burner going was just another personal touch. The cottage itself has been lovingly restored and the book of photographs documenting its restoration was fascinating. 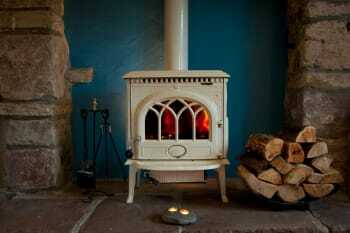 Everything in the cottage is of high quality and it's hard to think of anything that it lacked. In fact the only thing wanting was time to enjoy and visit all the activities and places covered in the extensive literature provided as we were only there for a short break. We would happily come back for a longer stay. The Anchor next door to the Abbey has great food in huge proportions and is understandably very popular. The Abbey Mill shops are very interesting but be prepared to play ball with the three collies who are always up for a game! The Parva vineyard is definitely worth a visit (the road up to it is a bit ramshackle so you might have second thoughts about it but the wine is certainly not second rate!) Unfortunately we were a bit limited on the walking front due to one of our party having sprained their ankle before we arrived but there is some great walking to be had. There's a particularly fine view if you go up to the Eagles Nest (you can either drag yourself up the 365 steps from Lower Wyndcliff or you can cheat and drive along to Upper Wyndcliff and walk from there. A very pretty walk amongst the bluebells and (I think!) wood anemonies. How kind of you to add such a lovely review. We were so glad that you managed to come despite the injury and that you still enjoyed yourselves so much. Please come again soon! Thank you so much for taking the time to write this about us. we are so delighted you enjoyed your say and appreciated the extras we provide for your pleasure. We very much look forward to welcoming you back! Easy booking. 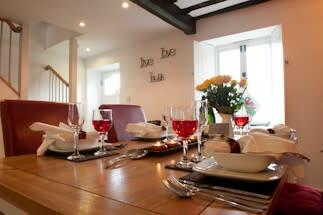 Very helpful and friendly with organising cottage for 4 adults,a 9 month old baby and 2 dogs. Attention to detail in the cottage was amazing & very welcoming. Fiona & Malcolm have a beautiful cottage, so good to stay somewhere so lovely that is still dog-friendy. The Anchor - lovely afternoon tea. Very accommodating staff. Parva Vineyard - beautiful views. Very welcoming & informative. Delicious wine (-: Well worth a visit. Abbey Mill Cafe - brilliant breakfast baguettes!! Further afield - Symonds Yat East, Saracens Head - amazing food. Very accommodating to family with 9 month old baby. So glad you enjoyed your stay, and delighted we could go the extra mile for baby and dogs too! As you see we do try and we are thrilled when it is appreciated! Hope you will come again before too long! Thank you so much for taking the time to add this review. We are so glad you enjoyed your stay. We are also delighted that you have booked to come back quite soon and look forward to welcoming you again! Lovely venue - immaculately kitted out, modern refurb of an old building, with everything you could need for a break. Location to die for. We walked the southernmost portion of Offa's Dyke - this cottage is a great base for that walk, if you've got a couple of cars. Thank you so much for adding such a nice review for us. We are really delighted that you enjoyed your stay and we hope that you will come back to this side of Wales again soon. Diolch yn fawr! We give 4 for cleanliness as the grill pan was very greasy and when in use caused the smoke alarm to react. Some of the roasting tins were in the same condition. The cottage garden is very secure for dogs and we had no worries about them getting on to the road. Our 15 month granddaughter was well provided for with high chair, travelcot and fire guard around the wood burner. The cottage is well worth a visit. 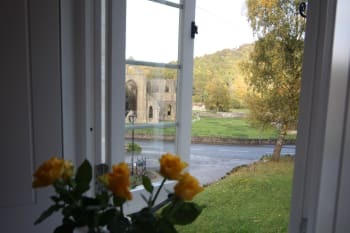 The cottage is in an excellent position with wonderful views of the abbey. The Anchor Inn is within easy walking distance and we used it for a lunch and a dinner which were both very good value. There are many lovely and historical walks in the area. We had an enjoyable trip to Monmouth which, with its many small shops and eating establishments, kept us happy in the rain. Raglan Castle is well worth a visit. 3 full days was really too short to give the area justice. Exemplary standards relating to presentation of the cottage and the welcome received upon arrival. Tintern provides an excellent base for those wishing to explore town and countryside within an accessible hour's journey: Newport, Cardiff, Chepstow,Monmouth, Usk, Abergavenny all have their unique points. It should be noted that for guests visiting during January, several local pubs and restaurants are closed in Tintern. Thank you so much for taking the trouble to leave this review. We are so glad you enjoyed the cottage., we do make a lot of effort to provide a warm welcome and are delighted when it is appreciated! yes its correct that some pubs and restaurants close in Tintern , as in most of the UK, for some days during January, the owners of the family sized businesses are always bushed after the festive season, but everyone can be reassured that there are always some still open as they pretty much take turns to have a rest! We were glad that you were able to make good use of the eating out list we supply so you could book ahead and so establish who would be open when and thus avoid any disappointments and we are really glad to have heard that you had some memorable meals . Please come again! 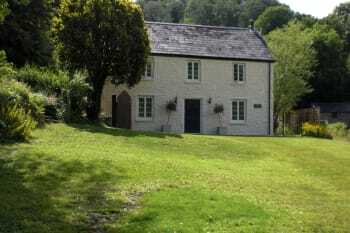 A beautiful, comfortable, well equipt cottage with a lovely view over Tintern Abbey, that is dog friendly. Very welcoming owner, we much appreciated the wine, milk, Welsh cakes and Bonio for our dog ! Amazing well proportioned cottage in a lovely area, welcome was above & beyond the norm, and so many finer details met.We have stayed in many self-catering properties over many years & Tintern Abbey Cottage is way out in front, would highly recommend. Lots of amazing walks for both the casual walker as well as the more proficient, we thoroughly enjoyed Devils Pulpit & Symonds Yat where we saw fantastic views amid lovely Autumn colours. We also had a lovely long walk through beautiful woods to Cleddon Falls, sadly because it had been so dry (which was nice in other ways)the falls were rather dry, but still a lovely easy & picturesque walk. Food at The Fountain was certainly a meal to remember, cosy, warm and very relaxed atmosphere, the food was outstanding. Excellent stay in all respects. Would certainly recommend this cottage. 4 nights was not enough! 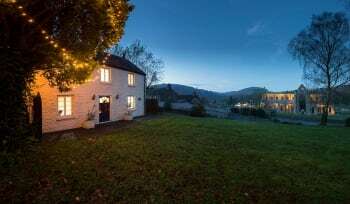 A delightful cottage in a unique position with views of Tintern Abbey from the front windows. The cottage is well equipped and the thoughtful touches e.g. flowers on the windowsills,enhanced the experience of staying there. The Anchor pub/café was a regular haunt - good food and good service. Visit Tintern old station for a lovely café and a good start or end point for walks. Thank you so much for taking the time to review us. We are so delighted you enjoyed your stay. We are a family business and prepare everything for guests ourselves so it is great to be appreciated. Come again soon!